provide some suggestions about the possible wayforward. 2.The foundation of reconciliation is to be found in various parts of the Holy Bible. about reconciliation in South Africa. However this list is by no means exhaustive. Christ has forgiven you...(Ephesians 4: 32). and then come and offer your gift...(Mathew 5: 24). missionaries during the colonial era. of the population of Kwazulu-Natal..."
basis of equality, non-discrimination and free association..."
Provincial Legislatures , the Judicial Officers and more. 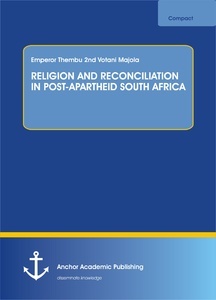 enhances reconciliation and social cohesion. approach has played a critical role in bringing about reconciliation in the country. the freedom of religion of any other person, or serve any other religious purpose. Three judges however disagreed with the judgment by the majority members.